These general terms and conditions apply to all purchasing and sales agreements concluded by VERA Groningen and its customers via www.vera-groningenwebshop.nl and all its sub-domains. No agreement can be created without your agreement to these terms and conditions. No products can be bought without an account. By placing an order with the VERA webshop, the customer declares to accept the terms and conditions. VERA Groningen cannot guarantee that the content of the site is always free of inaccuracies and typographical errors. Neither can we guarantee that all information is up to date. VERA Groningen is entitled to change the content of the site at any time. The colours on your screen may differ from those of the original product. This depends on, among other things, your computer settings. We make every effort to display the correct colours on our webshop. We are NOT liable for any direct or indirect damages done by any of the services we provide. Any damage caused from shipping is to be taken up by you with the shipping company. We do not assume any responsibility for lost packages. 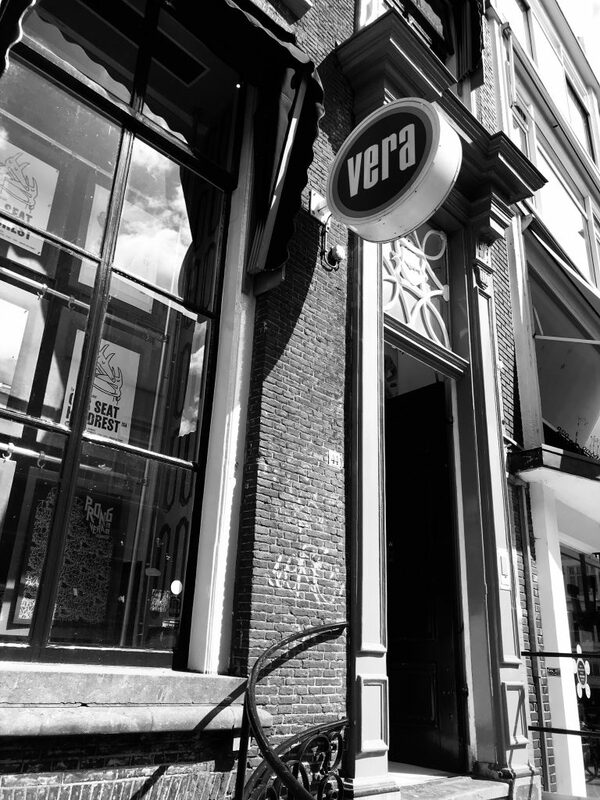 If you have any questions or problems, please contact us at live@vera-groningen.nl. All prices are in euros and are inclusive of Dutch VAT of 21% and are exclusive of shipping costs. We accept payments via iDEAL (in the Netherlands) and PayPal. After you have placed your order, you will receive an automatically generated confirmation by e-mail. Payments are processed by Mollie Payments. An item being returned must always be reported and sent in accordance with the returns procedure as otherwise the refund may be delayed. The goods must be sent back to us in perfect condition. Returned items will only be accepted if all labels are intact and affixed. VERA Groningen will not accept any items whose labels are missing. We advise you to provide the return shipment with a tracking number. All deliveries are subject to availability. Defective items are exchanged for the same type of product in the same colour and size, subject to availability. Refunds for defective items will be effected within 30 days of delivery. Customers that wish to make a complaint should always first contact us via live@vera-groningen.nl. Items cannot be exchanged or returned in our shop. In order to apply your article for return, you need to contact us within 7 days after delivery to register a return number. After registering you will be kindly requested to ship back your products. Delivery has to be within 7 days after registering. Returning a product is paid by the customer, unless the product is delivered with damage. Items may only be returned to VERA Groningen, Oosterstraat 44, 9711 NV Groningen, the Netherlands. The items are delivered by PostNL. Delivery time commences as soon as VERA Groningen has received payment from the customer. All orders will be packaged and send every wednesday of the week (except for holidays). When you order on wednesday we will try to displace it the same day otherwise you have to wait until next wednesday. All domestic orders will be shipped Letter post with the PostNL services. Packages sent via Letter post require an average of 1 working day to arrive anywhere in the Netherlands. Letter post delivers to every address in the United States. All packages will be shipped from The Netherlands. All international orders have an estimated delivery time between 4-6 weeks, but that is not guaranteed. The customs process and associated time frame is out of our control. Please note that there is no tracking available on international service.